A novel approach to immunotherapy developed by researchers at the National Cancer Institute (NCI) has led to the complete regression of breast cancer in a patient who was unresponsive to all other treatments. This patient received the treatment in a clinical trial led by Steven A. Rosenberg, M.D., Ph.D., chief of the Surgery Branch at NCI's Center for Cancer Research (CCR), and the findings were published June 4, 2018 in Nature Medicine. NCI is part of the National Institutes of Health. "We've developed a high-throughput method to identify mutations present in a cancer that are recognized by the immune system," Dr. Rosenberg said. "This research is experimental right now. But because this new approach to immunotherapy is dependent on mutations, not on cancer type, it is in a sense a blueprint we can use for the treatment of many types of cancer." The researchers then tested different TILs from the patient to find those that recognized one or more of these mutated proteins. TILs recognized four of the mutant proteins, and the TILs then were expanded and infused back into the patient. She was also given the checkpoint inhibitor pembrolizumab to prevent the possible inactivation of the infused T cells by factors in the tumor microenvironment. After the treatment, all of this patient's cancer disappeared and has not returned more than 22 months later. "This is an illustrative case report that highlights, once again, the power of immunotherapy," said Tom Misteli, Ph.D., director of CCR at NCI. 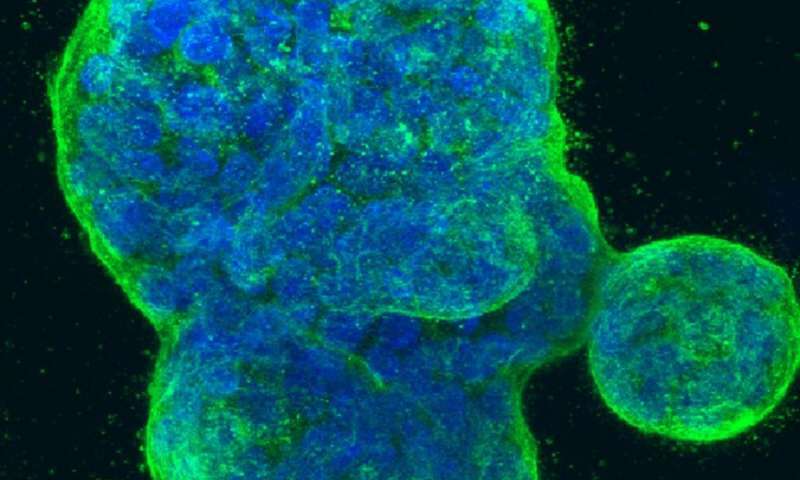 "If confirmed in a larger study, it promises to further extend the reach of this T-cell therapy to a broader spectrum of cancers." He said the "big picture" here is this kind of treatment is not cancer-type specific. "All cancers have mutations, and that's what we're attacking with this immunotherapy," he said. "It is ironic that the very mutations that cause the cancer may prove to be the best targets to treat the cancer."